FloorPlan 3D Design Suite is a collection of applications that includes FloorPlan 3D (with integrated Lightscape rendering engine), Landscape Architect, TurboProject Express and Home Designs Encyclopedia. The suite is a good combination for someone planning some building works, there is no facility to transfer information automatically or even easily between applications. 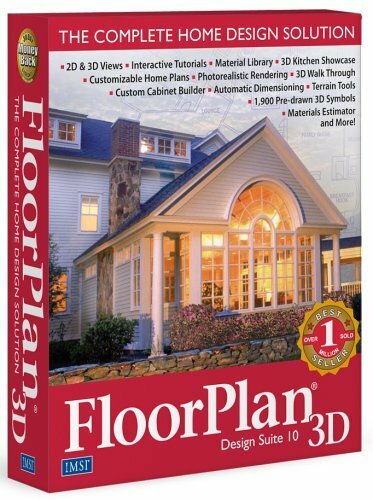 FloorPlan 3D is a sophisticated version of DreamHouse 3D and some of the shortcomings in DreamHouse 3D are rectified here. 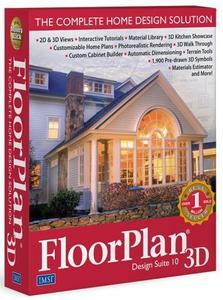 FloorPlan 3D allows you to set ceiling heights, window and door head heights. FloorPlan 3D also allows you to transfer your drawing to a real CAD program via a DXF export.